This was one of those stalls that I featured when writing for Makansutra. This stall has been around for more than 30 years, it started as a pushcart in the vicinity before moving into the food centre. It has been handed down by Mr Toh that started it to his 2 daughters. 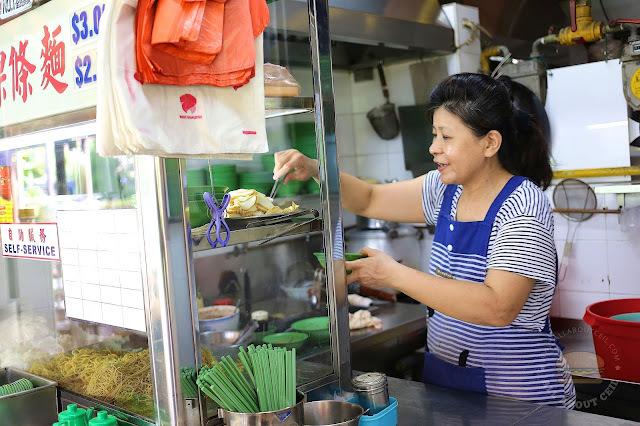 The older Madam Toh is 59 years old, she is the one taking the orders and serving it when it is ready. The younger Madam Toh is 56 years old and she is doing the cooking. 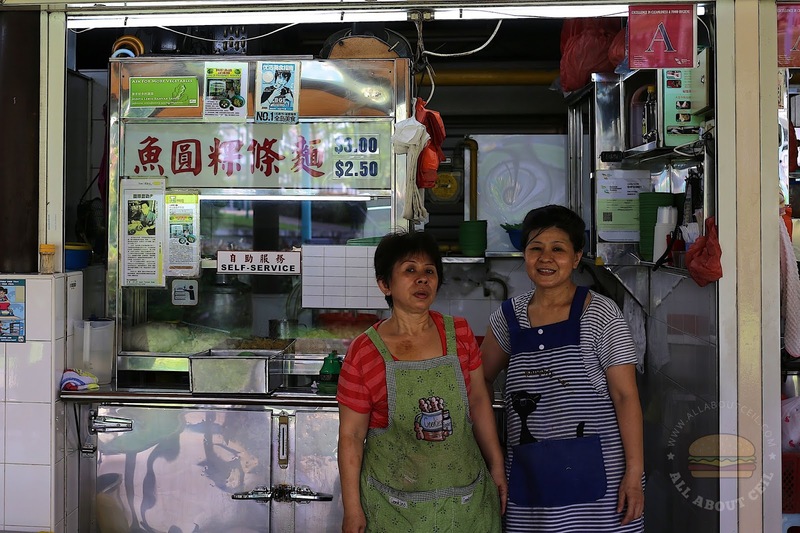 Their Uncle used to run a noodle stall just a couple of stalls away, he was also taught by Mr Toh using a similar recipe but that stall has already closed down. There was a queue of about 8 people when I was there at about 11.15 pm. 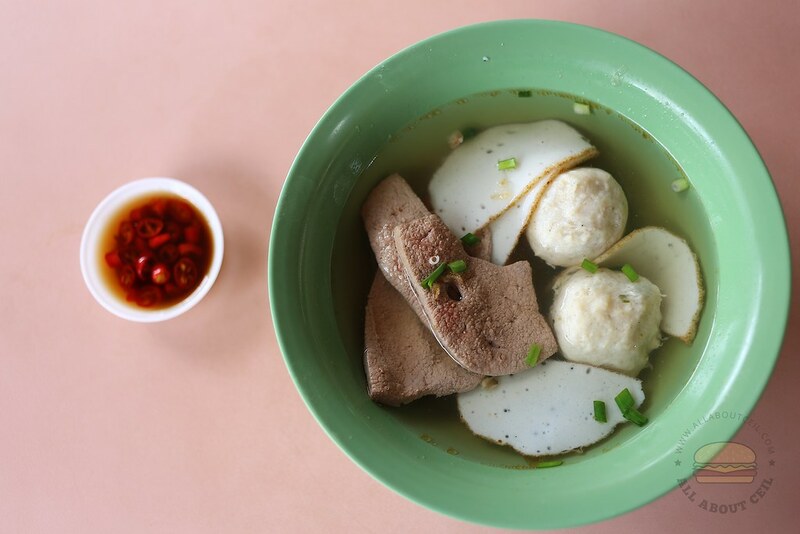 When it was about my turn, I was told that they have already run out of fishball. I decided to go with mee pok at $3 and added $1 for additional ingredients. I requested to have an extra amount of chilli to go with the mee pok. When waiting for my order, I overheard Madam Toh talking to the customer behind me, "You did not come for a while." 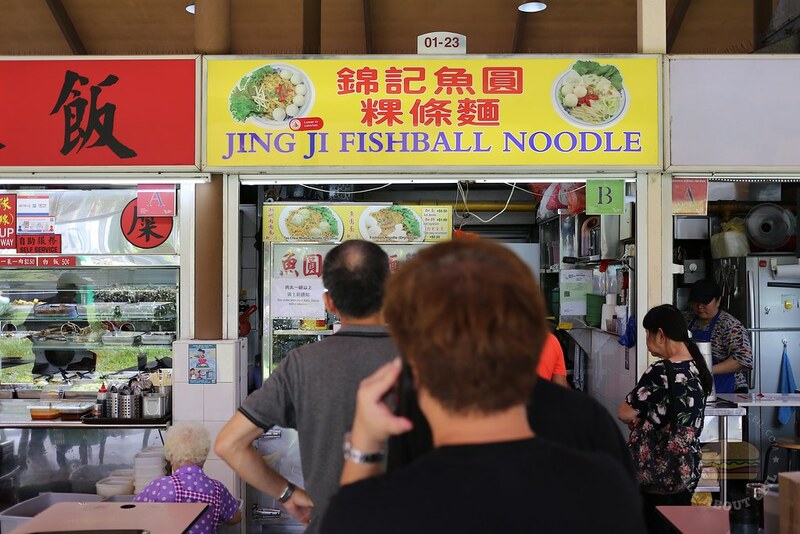 There was another customer right behind me asking whether would there be anymore mee pok left when it is her turn to order. She is likely to be one of the regular customers as Madam Toh seemed to remember how she likes her order to be done. I was told that most of their customers are the regulars staying in the vicinity and they usually come as a family. 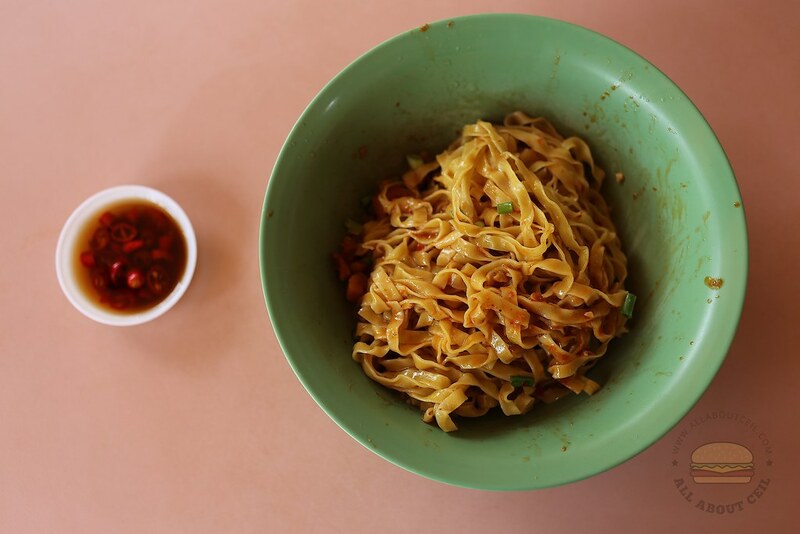 The mee pok was cooked just right, firm and still springy. It did not taste too spicy with that extra amount of chilli added, a hint of the vinegar and lightly flavored by lard. It was served along with a bowl of soup consisting of slices of pork liver and fishcake as well as meatballs. The meatballs have an ideal consistency and texture. Those slices of pork liver were lovely, it was tender and soft in the right thickness and size. I got the last few bowls of the noodles before they sold out at 11.30 pm. Their secret to their survivability is none other than using the freshest ingredients. The elder Mr Toh used to go marketing personally to source for it, he was doing that even when he was in his 80s. Such old-school taste can be so memorable. I was told that their children have no plan in taking over their stall at this moment. Enjoy it while it lasts.